Typically the Ionian sailing holidays are comprised of family holidays, flotillas and RYA sailing instruction & sailing schools, whereas in the south Aegean - particularly in the southern Cyclades below Paros - both winds and waves can become much more threatening than in the Ionian. Moreover the landscape is different with larger distances between the Cycladic islands which are rugged, rocky and overwhelmingly wild in contrast to the fertile soil in the Ionian Sea. 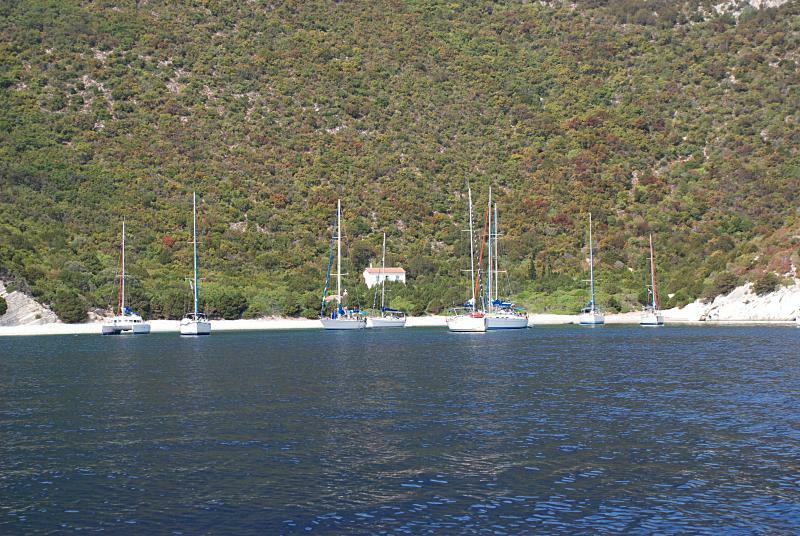 In particular the venue of Lefkas welcomes the relaxed sailing holidays seekers. Stunning anchorages and ports abound on the nearby islands of Meganisi, Kalamos, Ithaca and Kastos. Many specks of terra firma form its own archipelago here, called the Inland Sea - a true apotheosis for sailing holidays and yacht charters, worth 2 weeks minimum, and many sailors easily spend 3 weeks by combining the lovely ports along the mainland coast of Greece, notably: Palairos, Mytika and Astakos. Further route suggestions include the west coasts of both Kefalonia and Lefkada plus the island of Zakynthos further south.